At McWane Science Center, science is a celebration full of magical experiences, forces of nature, and fun. So, we feel it is only fitting that we theme Beaker Bash 2019 to illustrate the incredible wonders of science. As such, we are excited to unveil to you our theme for the 2019 event: “Carnivale”. This February, mystery and imagination will thrive during this whimsical night in the museum. Bring your whole family and be swept away into a world of colorful displays of acrobatics and intrigue! 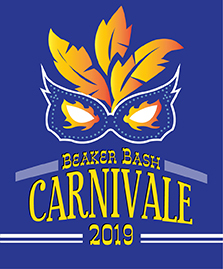 Beaker Bash is a beloved tradition that allows the whole family the opportunity to participate in a new and special adventure. All proceeds from the event go directly to McWane Science Center’s Education Scholarship Fund.